About CobraNewsBlogJanuary 2015What is 4K? 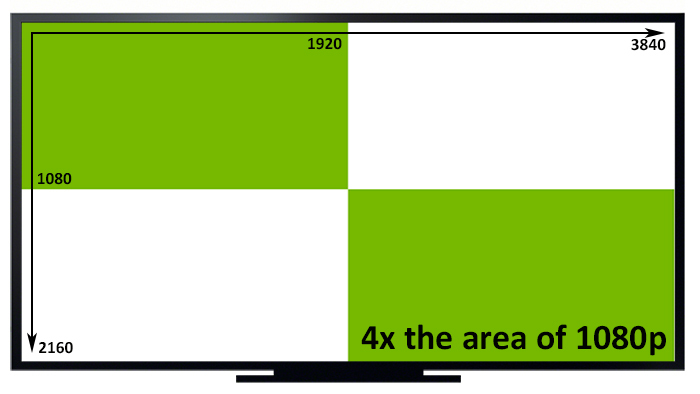 4K refers to ultra-high resolution (UHD) displays on the order of 4,000 horizontal pixels. A 4K panel is around 4 times the resolution of 1080p Blu-ray content. Especially for games 4K results in sharper crisper images with more detail. According to industry analyst IHS, 4K display prices are expected to come down dramatically and most major panel vendors will increase production of 4K displays within the next year. How does resolution apply to the spherical surface of the Cobra Curved Display? The Cobra Curved Display measures its actual seen resolution in a different way to a standard flat panel TV or projector. This is because when you project a flat 2 dimensional image onto a 3D dimensional spherical surface they do not match. The phenomenon that you see is both stretched and compressed pixels. Our spherical first surface mirror technology is used to redirect as many of those pixels onto the spherical surface as possible reducing the stretching and compressing of pixels. Once this is done you can then calculate the number of pixels visible. As it is a spherical surface the reference measurement changes to what is called Arc minutes. Arc minutes is a measurement of a spherical surface. In fact planet Earth is split into degrees, minutes and seconds with Longitude (East - West) and latitude (North - South). Grid reference points for satelite navigation is a combination of 2 sets of these numbers which can pin point your position anywhere on the planet with accuracy. Here are some example co-ordinates N55° 52' 21.381" W3° 32' 55.975" try putting them into a map application like google maps. This is our office location. A degree is 1/360 of a circle. A minute is 1/60 of a degree which subsequently is 1/21,600 of a circle. It is argued in the industry that once you reach 2 arc mins per optical line pair or below the human eye cannot detect the pixels. This is achievable but not with a single projector on a Cobra Curved Display. When in a few years 8K native panels become available we will pretty much cross that threshold and the benefits of simply increasing the resolution fade away. 4K LCos/ SXRD/ LCD technology already makes it extremely difficult to see individual pixels even at close proximity so you can be sure that your image quality is crisp and sharp with a native 4K resolution.